So, apparently The Human Division has been selected for the first round of the Goodreads Choice Awards, in the science fiction category. Which is very cool; I’m chuffed the folks at Goodreads are saying the novel is one of the best SF books of the year. Thank you. That said, you know what? At the moment I’m not feeling a huge need to try to convince you all that you need to run over and vote for me now now now right now. 2013 was a fine year for me, awards-wise. I’m okay with spreading the love around for the rest of year. I’ll catch up with it all in 2014. Also, to be blunt, the Goodreads Choice Awards has three rounds of voting in the space of a month, and wants all of us nominees to spend a lot of time and energy exhorting everyone we know to vote at each round of the contest. That’s a lot of pestering over not a lot of time. I don’t mind reminding people about nominating and voting for Nebulas and Hugos, which are spread out so the advertisements for one’s self are not overwhelming. A month-long constant drumbeat of vote pleading, on the other hand, doesn’t seem like a whole lot of fun to me right now. 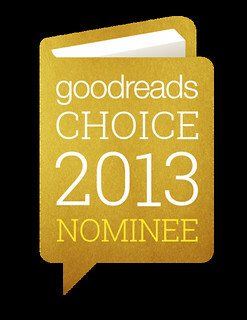 So: Here’s a link to the science fiction opening round for the Goodreads Choice Awards. There are some fine nominees there, written by lots of people I know and like both as humans and as authors. Vote for one of them instead. I especially encourage you to tip your hat to the newer nominees in the genre, because that tip of the hat can be both meaningful and useful to them. I’m a fan of making people aware of the next generation of the genre and the excellent writers in it. Science fiction is only one category out of twenty. Here’s the landing page for all the categories. Vote for as many as you like and/or have opinions about. Enjoy yourself. Congratulations to all the others whose works are nominated this year, in all the categories but especially in science fiction. I hope one of you who is not me wins. I have to vote for you since your’s is the only novel there I’ve read. Which just goes to say that I need to read more. You can also write in nominees, you don’t have to choose from their list. So lets open up the list a little. Right now its a collection of the usual white guys. John, you are one of my favorite usual white guys but I’d still like to see a more diverse list over there. Also a reminder that you can write-in a book that isn’t already nominated; I did this for two categories, in order to nominate Madeleine Robins’s excellent Sold for Endless Rue and Ann Leckie’s Ancillary Justice. Excellent! Just wrote in Charles Stross’s Neptune’s Brood which I’m greatly enjoying. Yes, the first round is actually designed to produce 5 write-in nominees who are added to the list for the second round. Even if your favorite is already nominated, write in somebody else deserving of notice, if not Best Book of the Year. As usual, I’m so behind on my reading that I’ve only read three novels that were published this year. I voted for “Great North Road” by Peter F. Hamilton and wrote in “The Quarry” by Iain Banks. To those who are bothered by the list’s lack of diversity: I just submitted a comment/suggestion through Goodreads’ help page about it, pointing out that basing their initial list on site statistics (rather than letting voters choose their nominees themselves) kind of defeats the purpose of being “the only major book awards decided by readers”. I suggested that they, at the very least, put the write-in box in a more prominent place so that it isn’t buried where people won’t notice it without searching. I also did a write-in for Ancillary Justice. I loved Human Division, but I wanted to spread tje “good news” about that excellent debut SF novel. Good point. I hope they don’t sweep you suggestion under the proverbial rug. Margaret Atwood has to be horrified that her book is listed as best science fiction. She has been pretty offended in the past when people say her work is science fiction. Since she says that since fiction is about ‘rocket ships’ and her books are about people. I dud not vote fir Scalzi’s The Human Division, even though I thought it was a great addition to the Old Man’s War universe. Instead, I wrote in a nomination and voted for the exceptional debut space opera Ancillary Justice. Abaddon’s Gate because that series is space opera crack. And in fantasy, Scott Lynch’s Republic of Thieves because it rocks like nothing else in the genre. Atwood has a very strict definition of Science Fiction that would also exclude things like Charles Stross’s “Halting State”, Vernor Vinge’s “Rainbow’s End”, or any of William Gibson’s recent work. I doubt she’d be horrified at being included at this point although she’d disagree. I had a real struggle figuring out where to slot Kim Stanley Robinson’s excellent “Shaman”. Historical fiction? Fiction? Science fiction? Fantasy? It could be read as all of them. And hopefully Robert Jackson Bennett’s “American Elsewhere” can find its way into the next round somehow, though it’s on that fantasy/horror line which makes it hard to figure out. Margaret Atwood prefers the term speculative fiction in honor of where its origins are, Jules Verne vs H.G. Wells. Considering she specifically writes in that genre I’m pretty sure she’d be happy to have her book nominated, it’s not like she dislikes science fiction, she just feels there’s a strong difference between “likely to happen” and “extremely unlikely but still awesome” themes. I’m surprised at the bashing going on. Bun: It might make you feel a *little* better to know that the Paranormal Fantasy section has (judging by names) 10 female and 2 male authors, currently. Not a clue as to who is white or not. And though that genre does nothing for me, it certainly isn’t failing to sell. At my local B&N it dominates the young adult section and probably outnumbers traditional science fiction (though not traditional fantasy) in the adult section. I agree on Ancillary Justice… Great book, and a wider audience would benefit from it. I also wrote in Paolo Bacigalupi’s “Zombie Baseball Beatdown” for both Horror and Middle Grades. Oh lordy. I lost interest when I saw there was ONE woman out of fifteen. Jiminy Christmas. voted for Great North Road already because Peter Hamilton! I wrote in a vote for The Mad Scientist’s Daughter. Can I anti-vote for Dust, which was atrocious? @leslie: google margaret atwood and science fiction. she is stuck up. @jeroljohnson: you really liked Abaddons Gate? I thought the first two were great. I was really unhappy with the this one. It just wasn’t interesting. The only viewpoint that advanced the overall plot was Holdens. So 3/4s of the book was throwaway for me. Another write-in for Ancillary Justice. My vote is for Vexing Voss, author is Gail koger. A really great read. Write in for Ancillary Justice here too. As usual, you are gracious in wanting to share acclaim and honors with other writers which is why we all like you. Another author who blogs regularly has been begging for votes since the lists went up and she’s already won a lot of awards. I liked her book but I got tired of this vote for me, me, me! (It was mystery category and I voted instead for Nesbo’s “Police.’ Now he’s won a few awards himself but doesn’t beg people to vote for him and besides, the book was awesome (to borrow a phrase from my kids). I haven’t read much of what’s been nominated on Goodreads this year, but Dust was an easy choice for my science fiction pick. I just LOVE that world. Also wrote in An Astronaut’s Guide to Life on Earth for the autobio category. I seriously tried to vote for someone else (Margaret Atwood). The site would not let me; it changed the order of the books and I ended up nominating you instead. Sorry, but blame the website; It is a conspiracy I tell’s you! Men do “real” work while women take care of the kids? Different cultures among the editors and publishers as to what type of authors they’re open to? Bias on the part of adult readers?